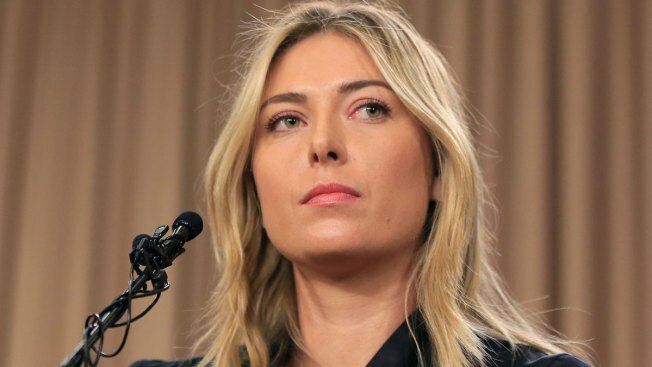 This is a Monday, March 7, 2016 file photo showing tennis star Maria Sharapova speaking about her failed drug test at the Australia Open during a news conference in Los Angeles. Sharapova has been suspended for two years by the International Tennis Federation for testing positive for meldonium at the Australian Open. Sharapova was provisionally suspended by the ITF in early March, shortly before she announced at a news conference in Los Angeles that she failed a doping test. Sharapova said then she was not aware that the World Anti-Doping Agency barred athletes from using meldonium, also known as mildronate, as of Jan. 1.